We are the leading Supplier, Wholesaler and Distributor for Ladies Semi Stitch Suits. 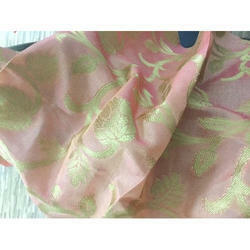 We provide our precious clients a superior quality range of Western Jari Butta. Offered suit is exclusively designed using the best grade fabric and latest technology. This suit is widely demanded among our clients for its attractive pattern and glossy finish. The provided suit is available in various mesmerizing colors and prints as per the demands of our valuable clients. Moreover, the quality of this suit is precisely tested by our quality experts against several quality parameters. Looking for Stylish Suit ?